I'm proud to say that I've finished up my Tula Pink Space Dust quilt top. It was definitely hard work, but I'm really happy with how it turned out. If you're curious about my thoughts on the pattern, pop on over to Sew Sweetness today, where I'm guest posting today. All in all, this quilt top took a lot of time and effort, but I'm really happy with the way it came together, and I'm looking forward to deciding how to finish it off, as soon as I get a wave of inspiration. I think it's going to be a big hit with the person I intend to give it to over the holidays! This special birthday quilt for Alex, commissioned by her husband, is on its way to her now, and I'm super excited to share it with you. 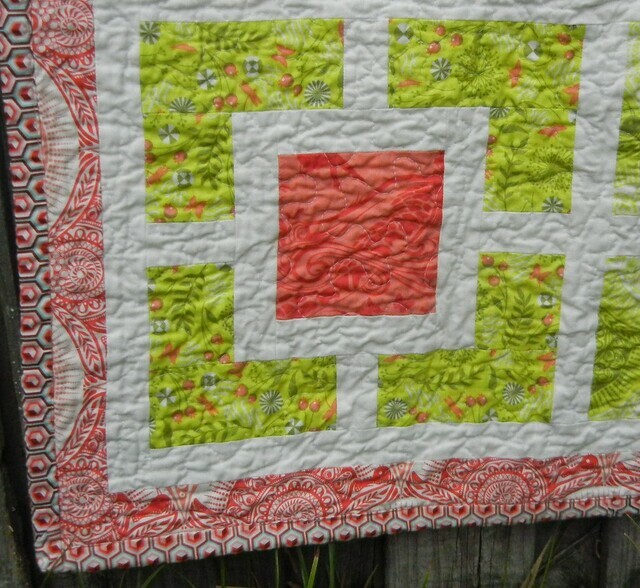 This pattern, by Cindy of Hyacinth Quilt Designs, is really effective for showing off larger prints. I highly recommend it! 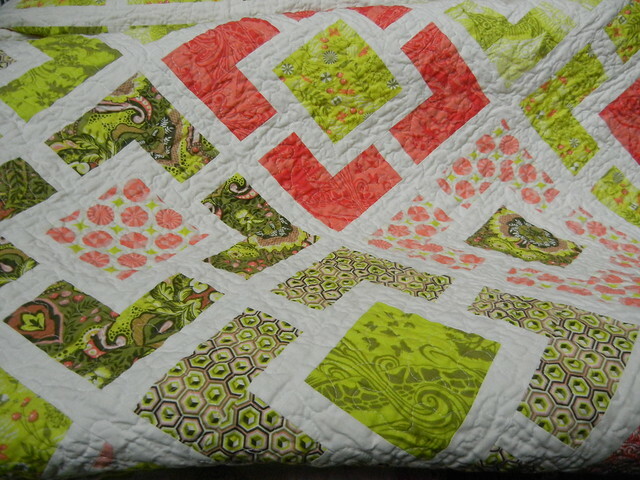 I added a 2" border around the finished edges of the quilt, using the snail scallop print from the coral colorway, and I really like how it makes the rest of the quilt blocks pop. 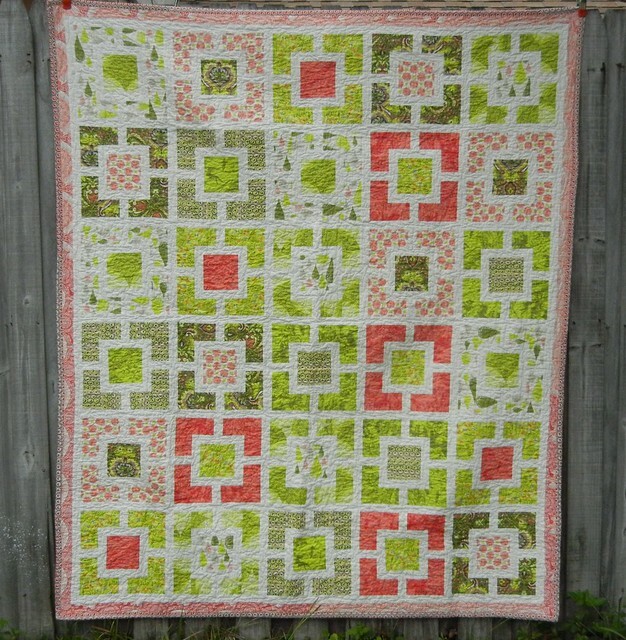 I don't usually add borders to quilts, but I thought this quilt really needed it for balance, so I'm really happy I did it. The binding is my favorite print from Prince Charming, something that is a great stash builder - the Hex Box print, in coral. 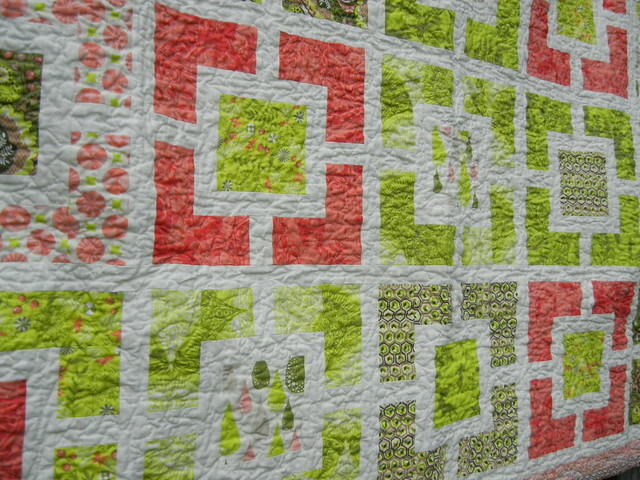 I can definitely see myself binding some other quilts down the road with this print, I just adore it! 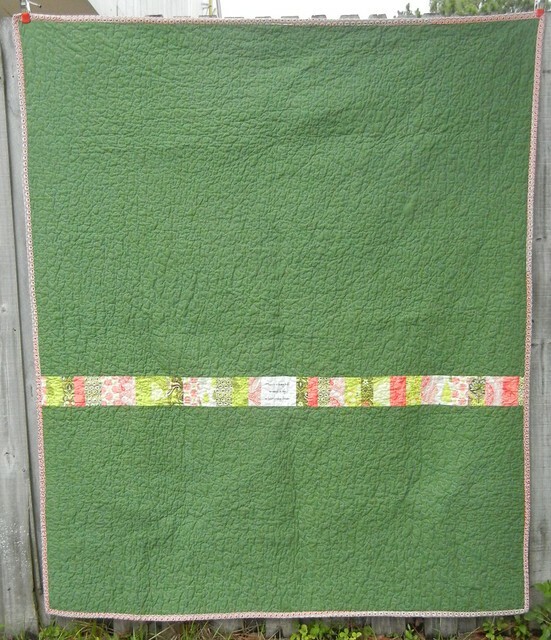 I have even toyed with the idea of trying to create a quilt inspired by that print, kind of a honeycomb kind of quilt. Size: approx. 50" x 64"